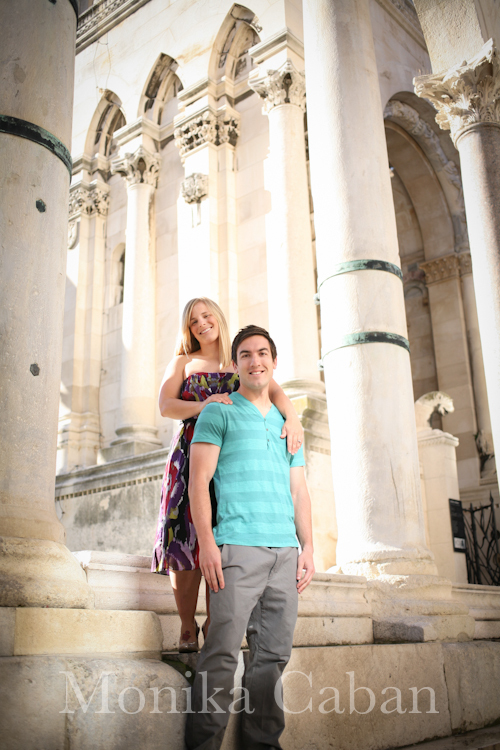 During my recent visit in Split Croatia I met Sheila and Dennis, a young American couple living and working in Split. 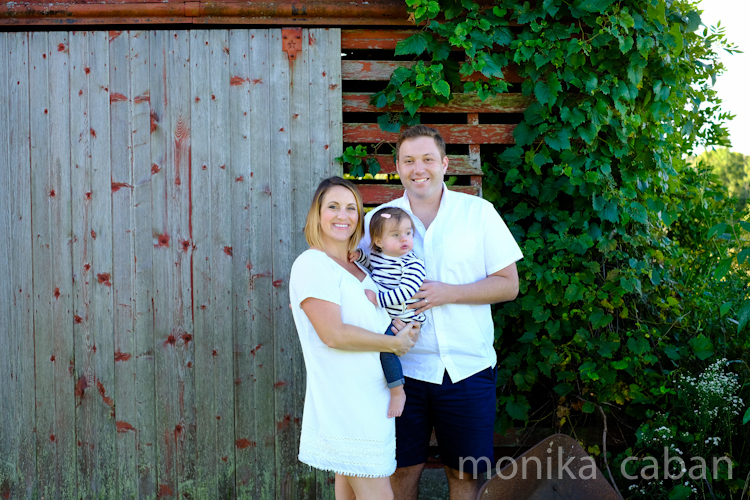 We did an engagement shoot together and also had a little chat about their life in Split. 1. 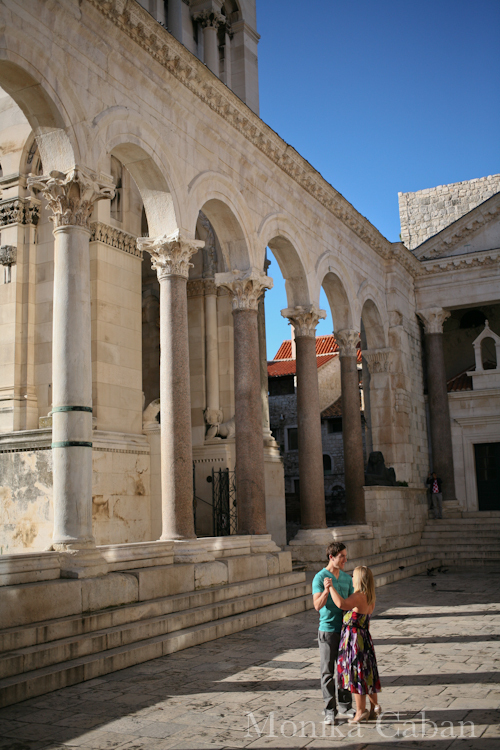 Tell us a little bit about yourself, where are you from and what are you doing in Split. I am originally from Minnesota, USA and Dennis is from Ohio, USA. 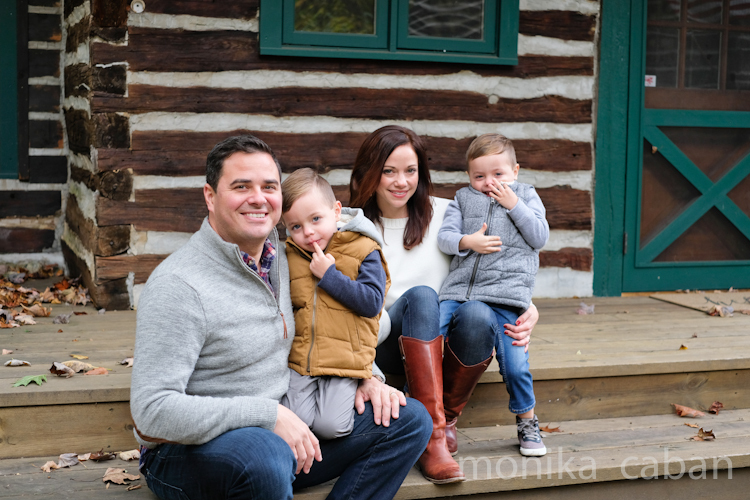 We met in Minnesota, where he was attending graduate school for his Masters in Exercise Physiology. Dennis was offered a position in Split at the Medical School, which is part of a research network throughout Europe studying scuba diving and decompression sickness. Dennis came for work, I came for love. 2. 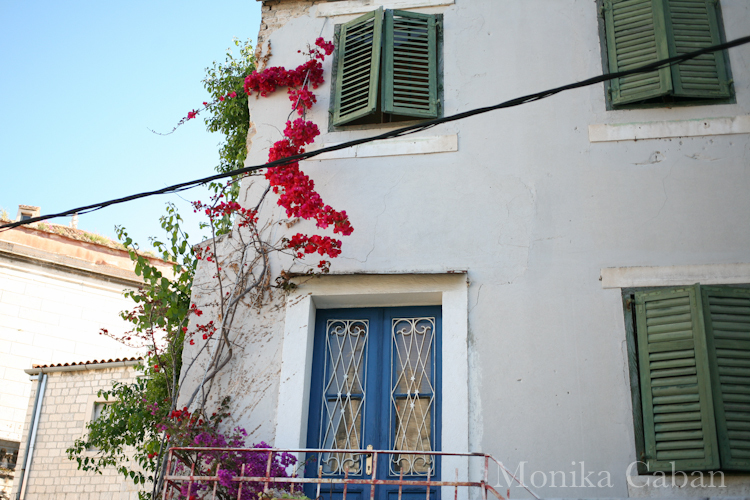 What do you like about living in Split? Split has so much diversity to offer. 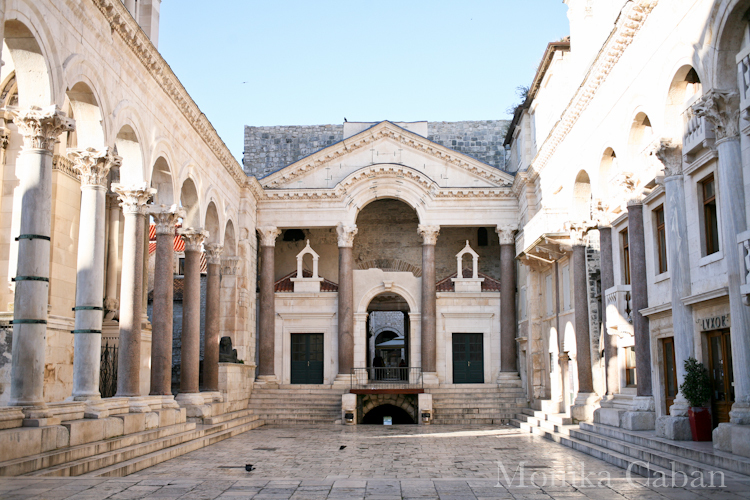 On the weekends, we can hike to the top of a mountain, swim in the sea or have coffee in Diocletian's Palace! How cool is that? 3. You are recently engaged. Can you share with us how did Dennis propose? We were on the island of Vis (about a 2 hour ferry ride from Split). From Vis, you can reach the "Blue Grotto (cave)" by boat. At 11 am, when you are inside the cave, the sunlight shines in giving the water the most amazing blue glow you will ever see! This cave is only reachable by row boat and the opening is so small that you need to duck to avoid hitting your head! Inside the cave, Dennis asked me to marry him! I don't think many people have a story as great as that! If you are planning a trip to Split, you cannot miss this opportunity. I think it is one of the most amazing places in all of Croatia (but I may be biased)! 4. 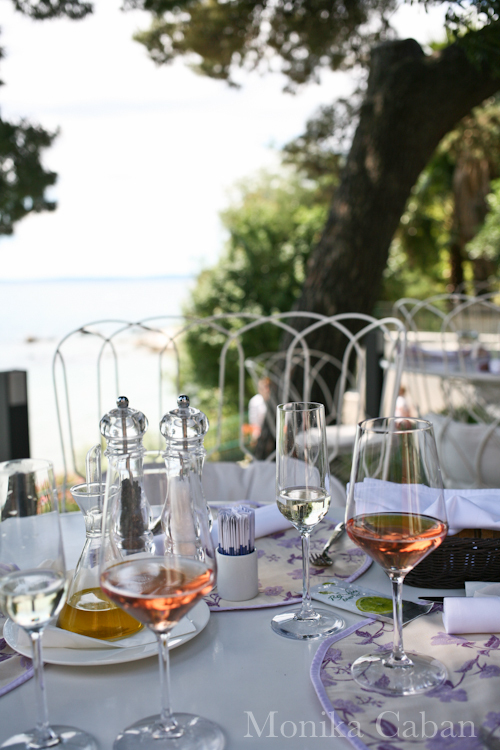 Where do you go for a romantic date in Split? 5. Did you start planning your wedding yet? January 30th, 2015 in Montego Bay, Jamaica! 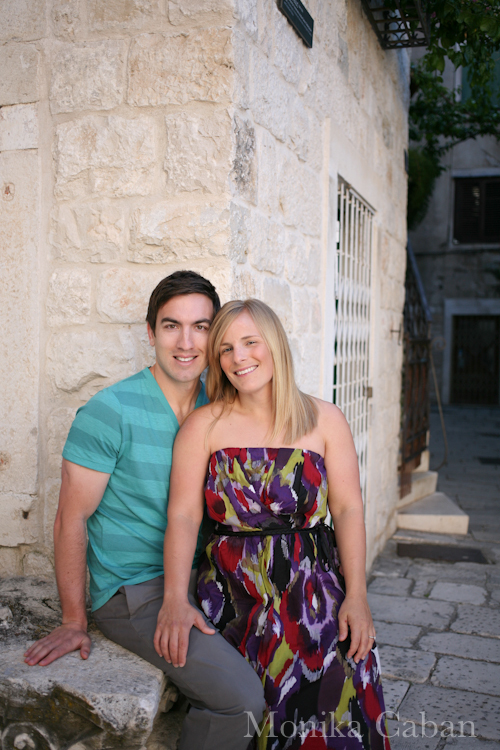 We chose this date because Dennis' contract in Croatia will be over and we will be transitioned back to life in the USA! We have always wanted to do a destination wedding! So it was a very easy decision for us! 6. Anything else you would like to share with us? Split is really a wonderful area of Croatia. It itself has a lot to offer in terms of culture and activities, but it also serves as a great connection to many other beautiful places in Croatia! 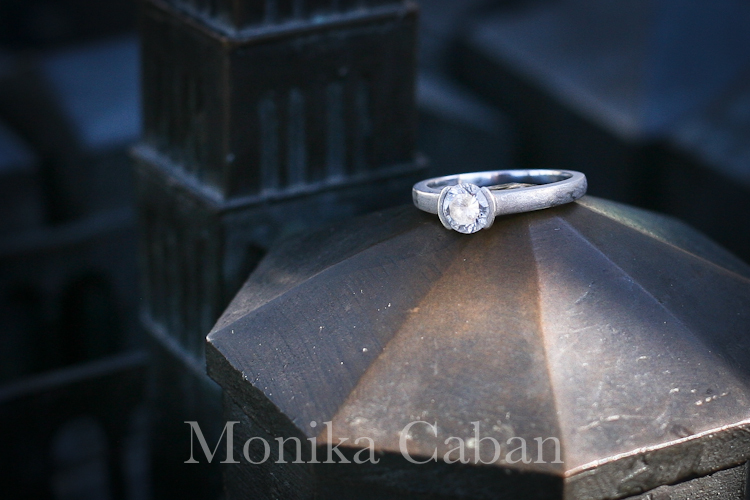 The engagement shoot was fun. 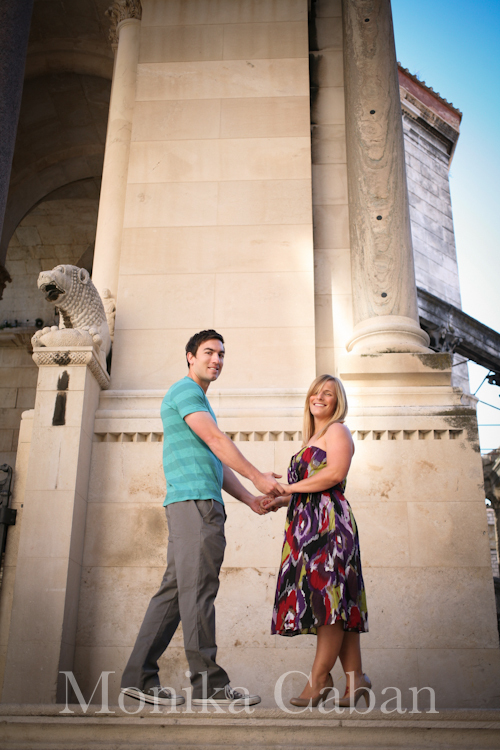 We took into the streets of Split early morning to beat the crowds at Diocletian's Palace. We were lucky and had it all to ourselves. The palace is beautiful early morning, all white, glistening in the early morning sun. Split is one of many beautiful and romantic places in Croatia.